Have a go at this RGB Color matching game. 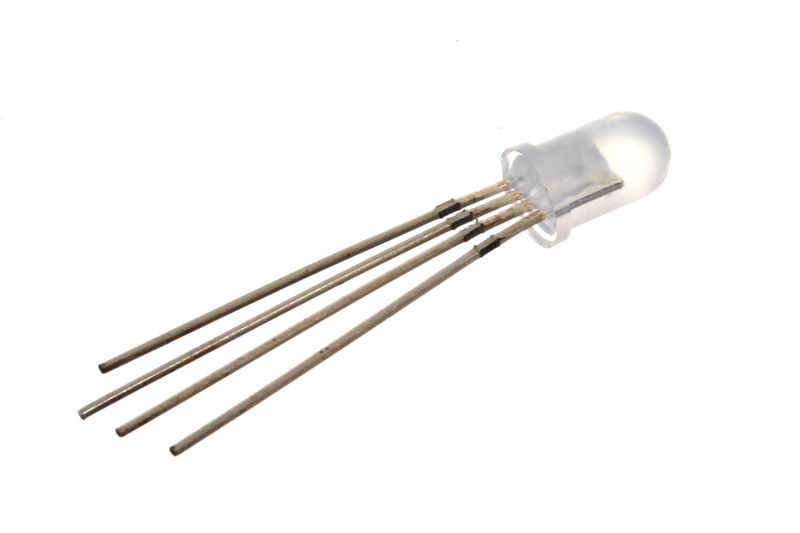 An RGB LED is a special kind of led that contains three mini leds inside itself! 1 Red, 1 Green, 1 Blue. 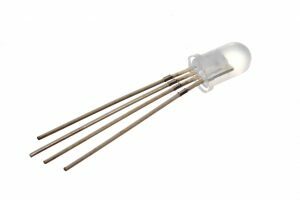 Because it contains all three LEDs and each LED can be turned on/off off separately, you can combine colours to make different colours. Also, because you can vary how bright each LED is, you can make any color whatsoever! Notice the flat edge of the RGB LED is at the top! We can turn the individual lights on and off, and combining them means that we can create up to 8 colors! Take a look at the demo code to see for yourself! If we want to make ANY color, we need to use analogue value -this means that we need control the brightness of each LED. 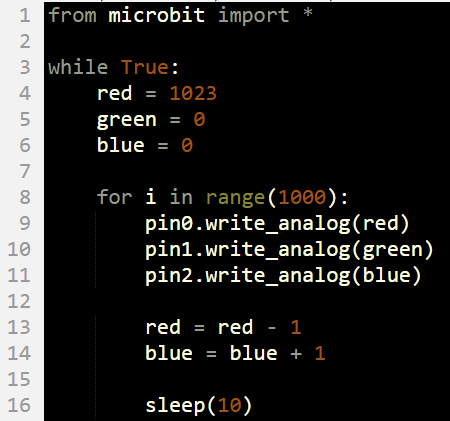 The Microbit allows you to set a brightness value of between 0 and 1023, but RGB colors only have individual channel values of between 0 and 255. So how do we fix this? We simply multiple the value by 4 and we have our Microbit analogue value! Can you guess what this code will do? This code is design to blend from red to blue on a gradient! 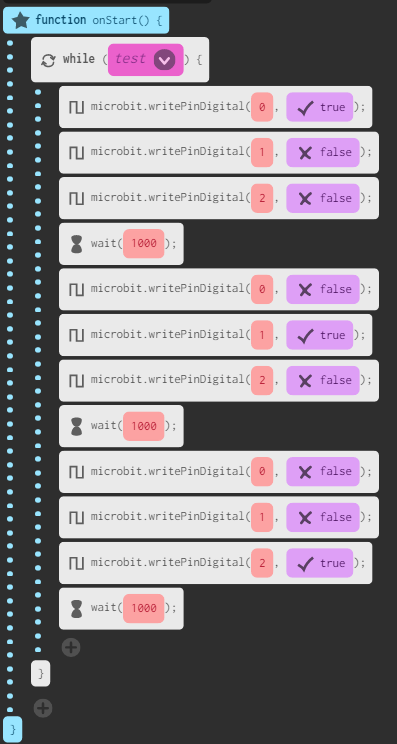 Get the Microbit to emulate(copy) the functioning of a traffic light!